It’s time to put your snowboarding and skiing skills to the ultimate test! 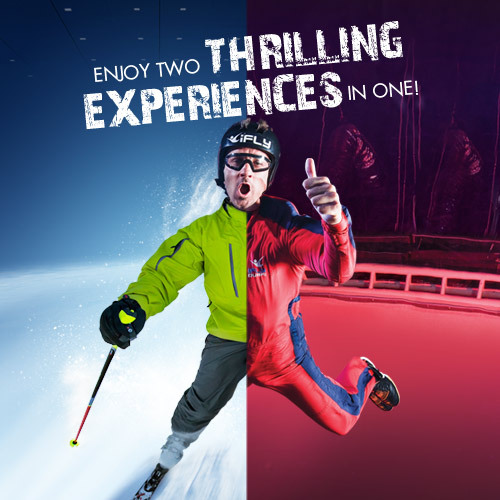 Take to the snow-covered slopes of Ski Dubai’s 85m high indoor mountain for a thrilling experience like no other. With five different pistes of varying degrees of difficulty, you can get your pulse racing with the world’s first indoor black diamond run and master the slopes as you speed down 400m of glittering snow-covered track. Spread over a 22,500m2, Ski Dubai offers the perfect place to host your team building day or event. We have a whole range of activities and packages available for all ages and abilities to keep your guests occupied and entertained. Snow penguins at Ski Dubai is dedicated to teaching youngsters and adults about the nature of this remarkable colony of Gentoo and King Penguins through engaging and interactive programs. 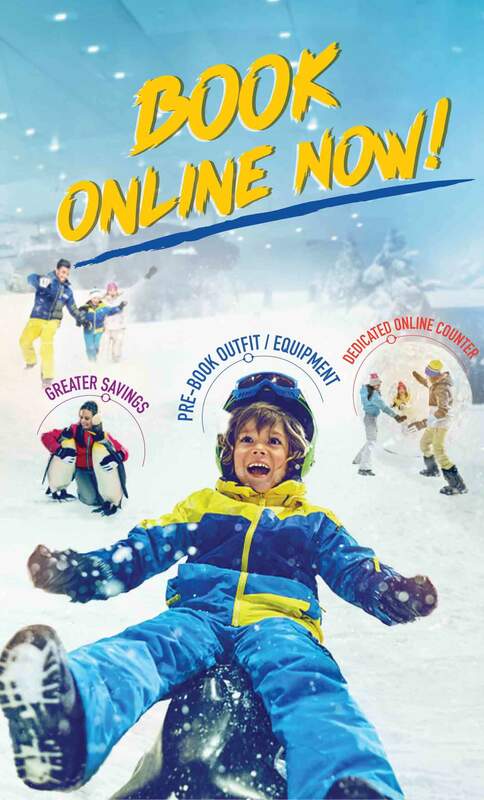 Book Ski Dubai Tickets & Outfits Online Now! reside in the most sophisticated habitat in the UAE. Ski Dubai is home to its very own colony of King and Gentoo Penguins! We invite you to meet our waddling friends by experiencing a Ski Dubai penguin encounter during your visit. Get up close and personal with these incredible creatures to discover more about how the species survive in some of the coldest conditions on Earth..
Our daily March of the Penguins is held in the Snow Park. This gives guests a chance to see these beautiful creatures up close, as they take a starring role alongside their team of handlers. With a variety of packages available, visitors can meet our penguins and watch as they play together. You can also take part in a range of fun and exciting training sessions. Check out all our behind the scenes footage captured of our qualified trainers taking care of our beautiful penguins as part of their daily routine. View and claim your Ski Dubai Digital Moments! Check out reviews written by people who have already been to Ski Dubai! WHAT ARE THEY SAYING ABOUT SKI DUBAI?